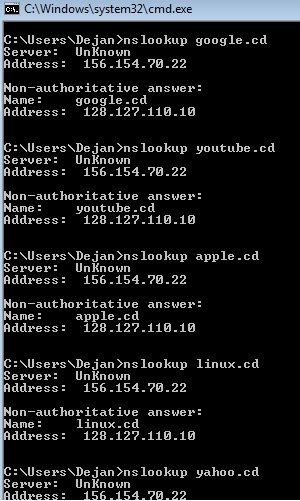 Hacker with nickname AlpHaNiX deface Google, Gmail, Youtube, Yahoo, Apple etc domains of Democratic Republic of Congo. Hacker use strategy so-called DNS cache poisoning. DNS cache poisoning is a security or data integrity compromise in the Domain Name System (DNS). The compromise occurs when data is introduced into a DNS name server's cache database that did not originate from authoritative DNS sources. It may be a deliberate attempt of a maliciously crafted attack on a name server.